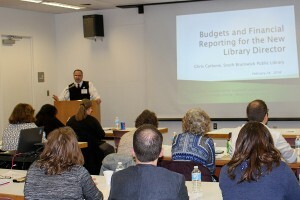 The New Jersey State Library offers a variety of training opportunities for NJ librarians. Programs are based on availability of funds and topics are selected based on statewide need. The annual New Directors’ Orientation is held at the New Jersey State Library each February. There is also an overview of services offered by the New Jersey State Library and the Talking Book and Braille Center focusing on how we can help serve you in your new position as Library Director. This is a great opportunity for new directors to learn the basics about their responsibilities and to network with other library professionals and new directors throughout the state. New Director’s Training counts for 14 hours toward the required minimum amount of library-related training for Per Capita State Aid. Attendance on both days is mandatory. Contact Michele Stricker, Deputy State Librarian, Life Long Learning at mstricker@www.njstatelib.org for further information. This is a four-part series designed for librarians and library professionals who are responsible for creating, implementing or maintaining adult literacy programs at their libraries. The series consists of four full days of intensive training, spread over four months this fall. It includes structured, hands-on learning, and sharing of New Jersey libraries’ best practices in the field of adult literacy. Outside professionals will provide informative and inspirational messages in their keynote speeches. The State Library was recently awarded an Outreach to Consumers grant award in the amount of $15,000 from the National Network of Libraries of Medicine, Middle Atlantic Region in 2014 for Mental Health First Aid Training and $15,000 in 2015 for Youth Mental Health First Aid. The funds have been used to purchase approximately 100 seats for library staff to be trained in Mental Health First Aid. This training enables library staff members to deal calmly and effectively with customers who may be suffering from stress or mental health issues in their lives at no cost to them. Participants will earn a Mental Health First Aid certificate at the end of the two-part program. 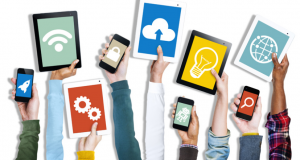 Visit our listing of webinars of interest to the New Jersey library community. These webinars are offered at no charge by various organizations and statewide programs involved discounted training from LYRASIS and WebJunction.